Looking for a novel Cydia app you can use to kill some time? 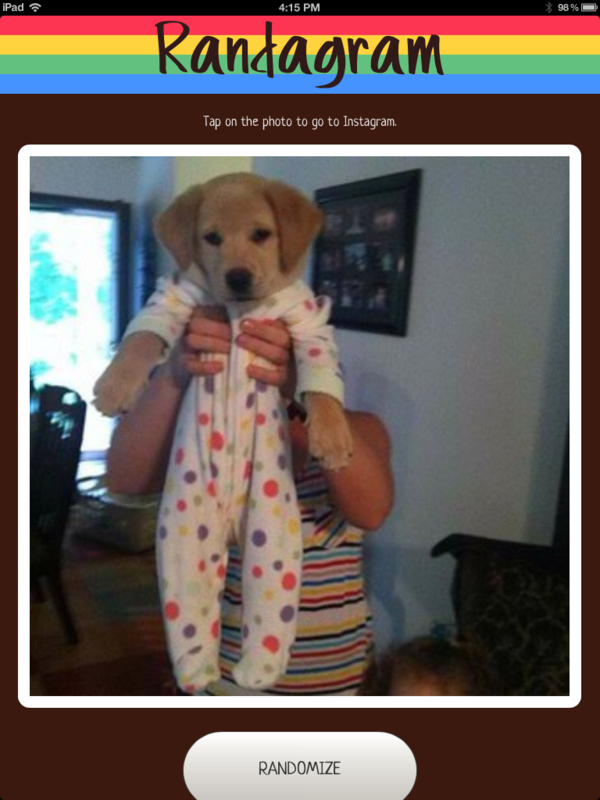 Randagram is a simple Instagram viewer that calls up photos tagged with “#random”. Even if Randagrm isn’t a particularly feature-packed Instagram viewer, it gets points for iPad support, which the official Instagram app still lacks. There’s a weakness to only selecting posts that were described by their authors as random; instead of providing varied content that services like StumbleUpon provide, its limits the content to pictures that the authors already discounted. The “#random” tag attracts a disproportionate number of dogs in footy pajamas and teenagers striking poses. This would be an easy fix. The stream #random could be replaced with a different tag. Or just the last photo submitted to Instagram, period. Randagram could also use a history function, for going back to previous images. As it stands now, if you press Randomize then the current picture will be gone. 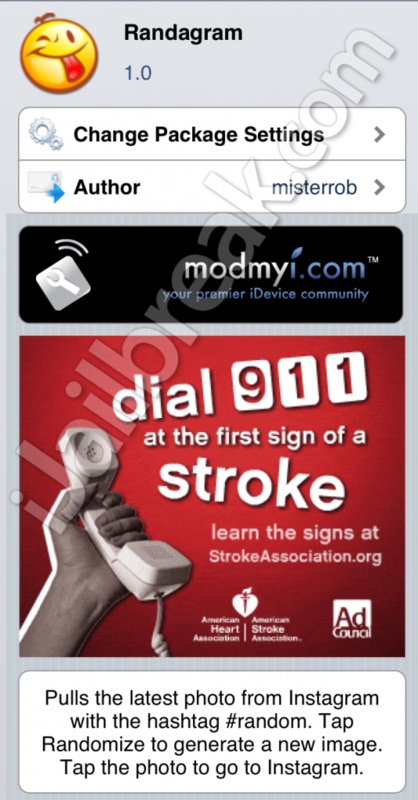 Randagram is a free tweak which can be found in the ModMyi repository on Cydia. You can share your thoughts on Randagram in the comments section below.